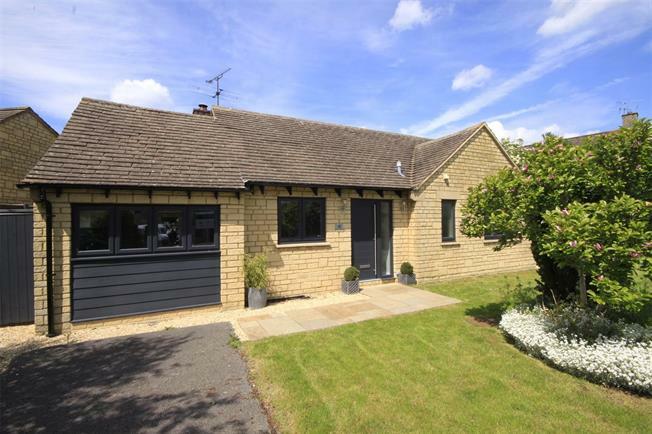 2 Bedroom Bungalow For Sale in Cirencester for Guide Price £375,000. A spacious and well appointed two bedroom detached bungalow located within the a popular development, conveniently located just 0.2 miles from Kemble station. The property has recently undergone an extensive refurbishment programme and has been reconfigured to create a delightful contemporary and stylish home. The accommodation now provides a spacious entrance hall with access to all rooms. The sitting room has open fireplace and double opening glazed doors onto the rear garden. Of particular note is the kitchen area which also provides access to the garden through double opening glazed doors, and has been reconfigured to create a super central hub to this wonderful home incorporating not only; an extensive range of premium base and wall mounted units with integrated Bosch and Neff appliances, but also now provides both dining and family space. The property also has two bedrooms and an extremely well appointed tiled bathroom, with panelled bath and shower over, vanity wash hand basin and low level flush WC. 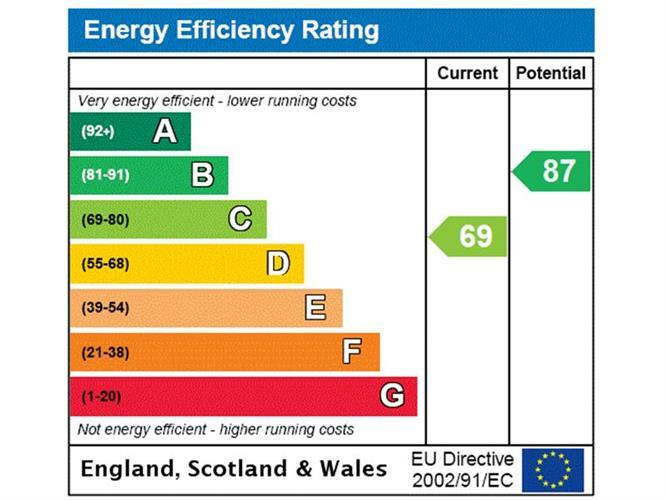 uPVC double glazing is installed as is gas radiator heating. Kemble is a much sought after, conveniently placed village which supports a Parish Church, public house, post office/stores, a primary school and a village hall. In nearby Ewen is the well known public house, The Wild Duck. From the mainline station in the village there is a fast and regular service to London Paddington which takes approximately 80 minutes. Cirencester is the nearest town (approx. 4 miles) and provides an excellent range of shops and services including Waitrose and Tesco superstores. Regional centres include Cheltenham, Bath and Swindon where there are theatres and a greater range of shops. The locality is also excellent for the commuter with access to the M4 at junction 15 and the M5 at junction 11A. To the front of the property is an attractive open plan front garden laid to lawn with central bed planted with flowering magnolia. Driveway parking is provided and there is gated pedestrian access to both sides of the property to the rear. The rear garden is enclosed by timber fencing with an Indian sandstone patio with timber pergola and access from both the kitchen family space and living room. Steps lead onto a level lawn with retaining sleepers.